Q: We’re looking for a way to make a statement in our kitchen, and are considering a new backsplash. What are some of the latest materials and design trends? We are seeing a lot of new and exciting ceramic tiles sweeping into the market. One trend is tiles with a 3D stamped pattern that flows from one tile to the next, such as the Akira field tile from Sonoma Tile Makers. This allows us to create a more interesting large format field for your wall. Ceramic manufacturers are also coming out with more varieties of different shaped tiles. We are seeing the standard flat rectangular subway tile giving way to fun shapes such as arabesques, fish scales and picket fences. If you do want to stick with a more traditional subway look, we are seeing horizontal setting used more frequently, as it is more comfortable visually than a vertical set. Another exciting way to introduce some punch, while staying green, is with a recycled glass tile. 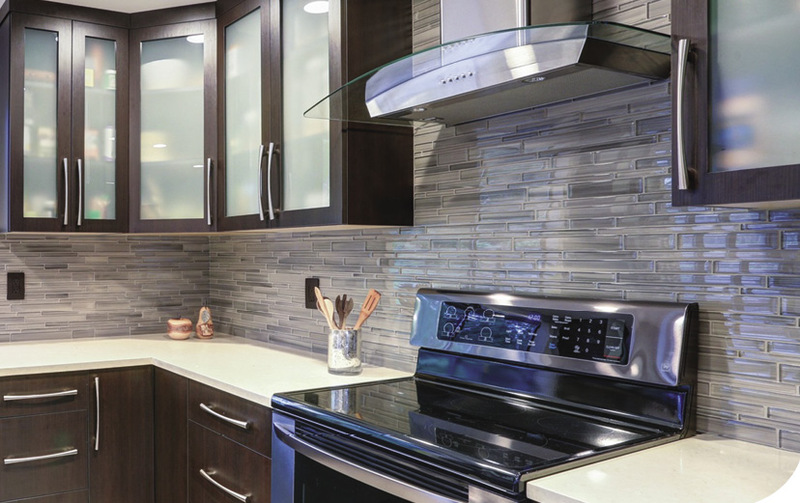 Manufacturers are producing more colors than ever before along with new shapes, such as hexagonal mosaics. The final trend I will mention is the reemergence of classic natural marble mosaics with floral and geometric blends. We are seeing them used in more contemporary designs to add an air of refinement and just a touch of natural softening. One last pro tip: We recommend tiling your entire wall as opposed to stopping midway up off your countertop. This will lend a more completed feel to the entire space. 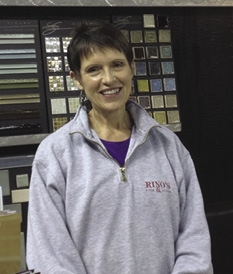 Jolene Schnell is a certified ACKD designer who has worked with her family at Rino’s Tile & Stone since 2003. Visit rinostileandstone.com.